If you're applying for a job, you may be unsure how to write the cover letter or how to include key selection criteria. The key selection criteria, also known as the job requirements, are the main things your potential employer wants to see, and you must address each one in your cover letter. Start by figuring out exactly what the employer wants, and address them in the body of your letter. Follow up with a thorough proofreading, including checking your cover letter against the selection criteria. Read the criteria through several times to ensure you understand what each one means. If you're having trouble with one, research it to clarify the meaning. You could also ask the opinion of someone you know to see what they think it means. Some countries, such as Australia, require that all public-sector jobs provide a list of key selection criteria. 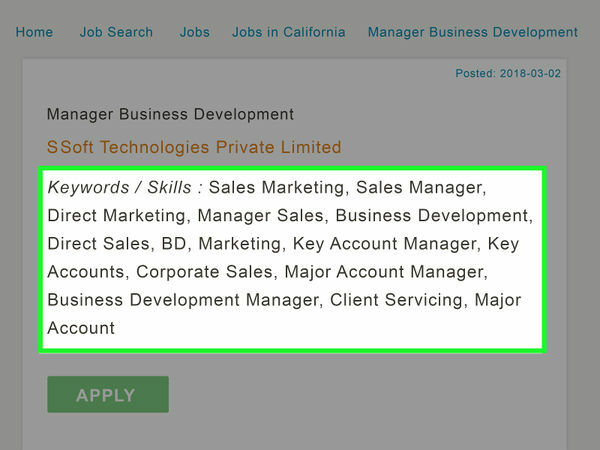 If you can't find a labelled section for the criteria, infer what the company is looking for from the job description. Parse each line, and then write down what you think the company is looking for based on that text. For instance, maybe the job description states the following: "The employee will act as an intermediate between clients and the accounting department. They will take phone calls and emails from both sides, and they will be expected to communicate professionally." 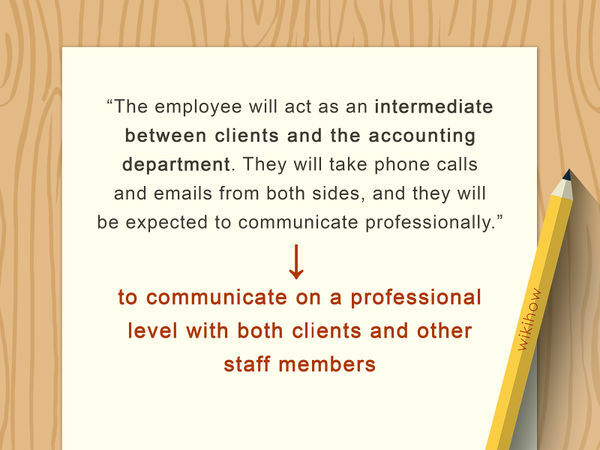 From this text, you can gather that one of the key criterion for the position is to be able to communicate on a professional level with both clients and other staff members. Go through each of the selection criterion, and list your relevant education, training, and past job experience. Compare the list to you resume or CV, so you won't forget anything. Always begin with a sentence or two where you identify who you are and what job you're seeking. Don't address the key criteria in this paragraph. 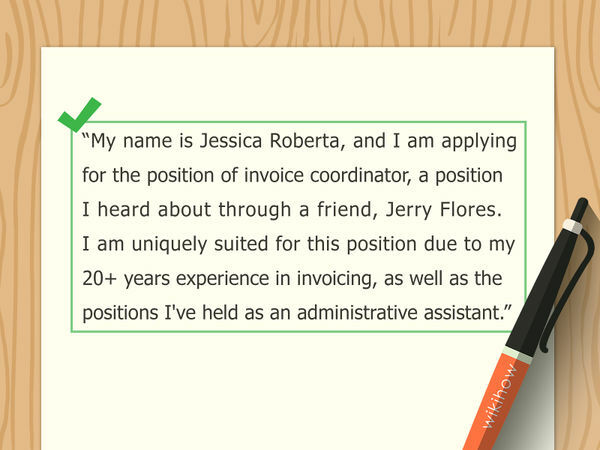 For instance, you might write, "My name is Jessica Roberta, and I am applying for the position of invoice coordinator, a position I heard about through a friend, Jerry Flores. I am uniquely suited for this position due to my 20+ years experience in invoicing, as well as the positions I've held as an administrative assistant." Transition into discussing how you fit the key criteria, which will make up the body of your cover letter. Spend 2 to 3 paragraphs on this section. 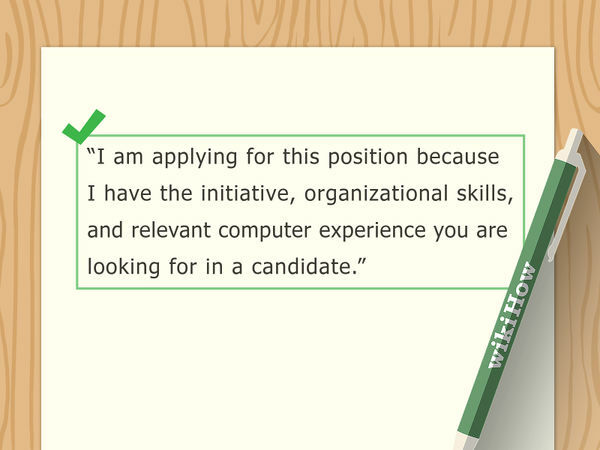 For instance, you could begin your second paragraph this way: "I am applying for this position because I have the initiative, organizational skills, and relevant computer experience you are looking for in a candidate." Move on to discussing your examples of each criteria. Take the examples and experience you listed under your notes for each criteria, and put them in complete sentences. Include just the most relevant information. Keep it concise and to the point, as you don't have much space in a cover letter. 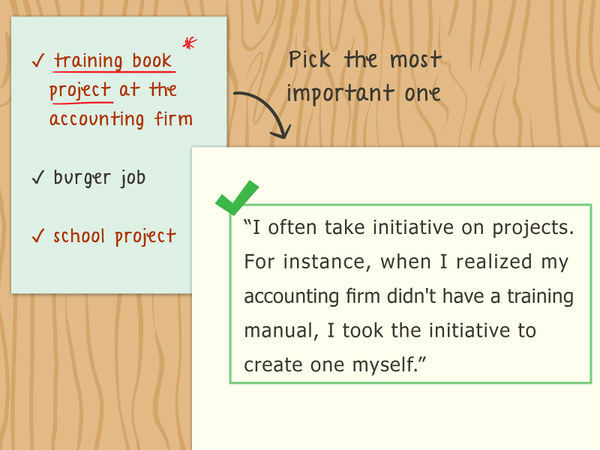 For instance, maybe you wrote, "training book project at the accounting firm," "burger job," and "school project." Pick the most important one. You could write, "I often take initiative on projects. For instance, when I realized my accounting firm didn't have a training manual, I took the initiative to create one myself." Addressing the selection criteria one by one ensures you cover each criterion. It also makes it clear to the reader how you exemplify each one. For instance, with good organizational skills, you might say, "I have strong organizational skills." Then go on to your example: "I reorganized the filing system for the office I worked in, and efficiency improved by 25%." In the final paragraph, say how much you'd like the position again. Note when you're available to interview, and thank the reader for their time. Also, provide contact information. 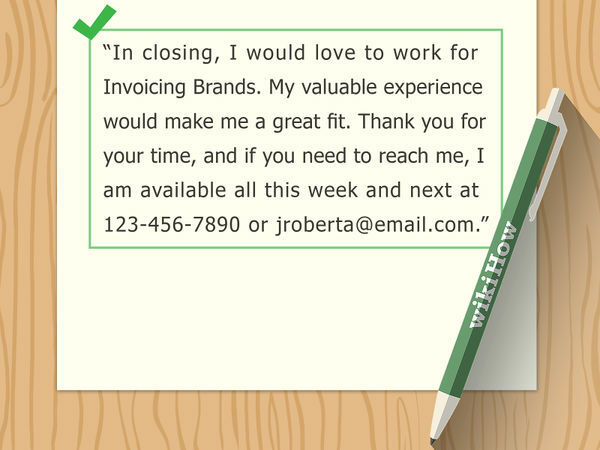 For example, you might write the following closing paragraph: "In closing, I would love to work for Invoicing Brands. My valuable experience would make me a great fit. Thank you for your time, and if you need to reach me, I am available all this week and next at 123-456-7890 or [email protected]"
Working well under pressure means you are able to prioritize tasks to meet deadlines. A relevant example would show how you organized your time well in a previous position. 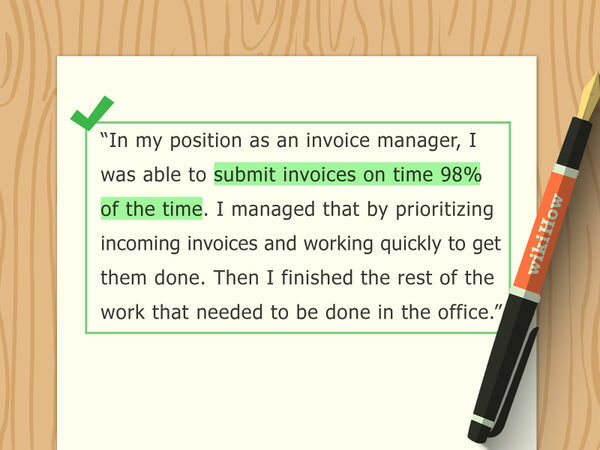 For instance, you might write, "In my position as an invoice manager, I was able to submit invoices on time 98% of the time. 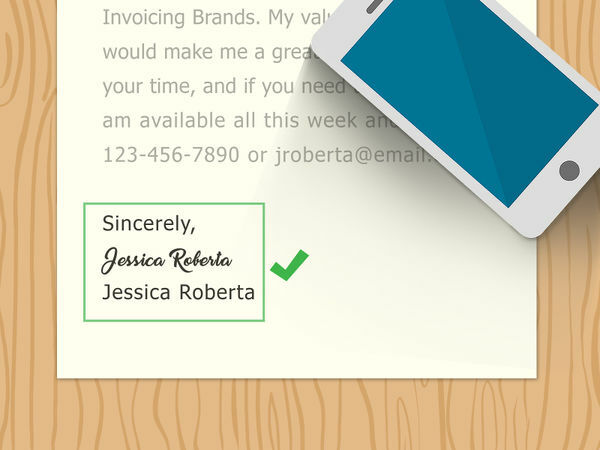 I managed that by prioritizing incoming invoices and working quickly to get them done. Then I finished the rest of the work that needed to be done in the office." Resilience is bouncing back from setbacks and working through obstacles to achieve goals. Use an example from a job when you were able to complete a large project despite setbacks. For example, you could write, "I have shown resiliency in past positions, particularly when I worked on a training manual at XYZ Financials. It took me several months to complete the project, partly due to lack of support and printing issues, but in the end, I persevered. 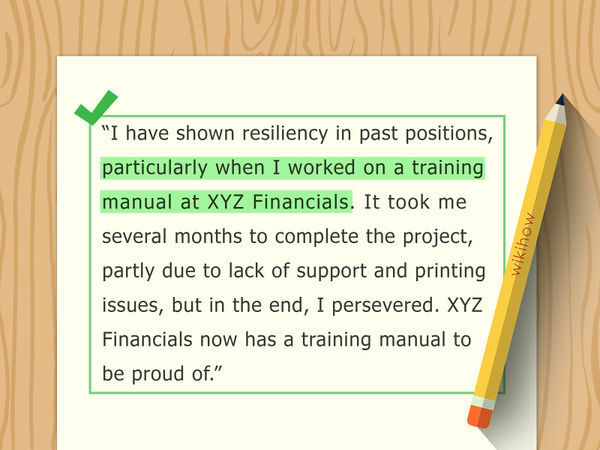 XYZ Financials now has a training manual to be proud of." If you have problem-solving skills, you are able to look at all angles of an issue and develop with a creative solution to solve it. 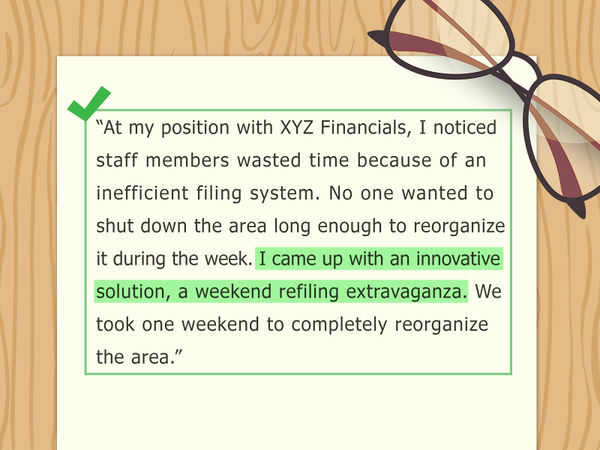 For example, you might write, "At my position with XYZ Financials, I noticed staff members wasted time because of an inefficient filing system. No one wanted to shut down the area long enough to reorganize it during the week. I came up with an innovative solution, a weekend refiling extravaganza. We took one weekend to completely reorganize the area." You may have more selection criteria than you have room to cover singly in a 1 page cover letter. In that case, look for an example that can address more than one criterion at a time to save space. For instance, maybe 3 of the criteria are "good organizational skills," "takes initiative," and "competent computer skills." 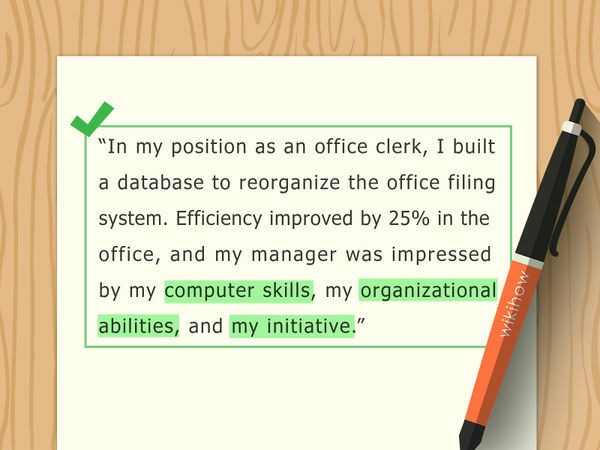 You might write, "In my position as an office clerk, I built a database to reorganize the office filing system. 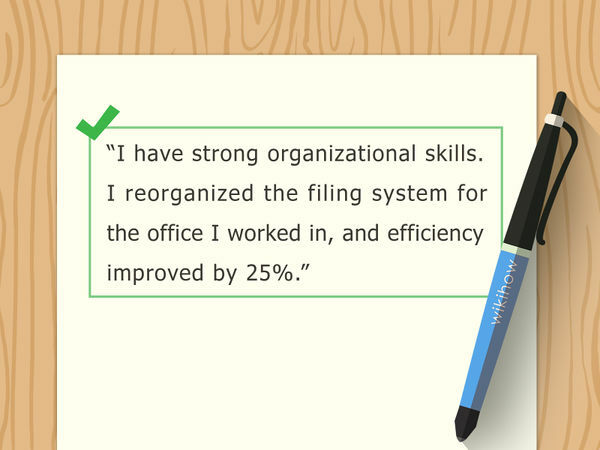 Efficiency improved by 25% in the office, and my manager was impressed by my computer skills, my organizational abilities, and my initiative." Read through your letter. As you do, check off each of the key selection criteria you were supposed to cover. Make sure you included as many as you could in the letter. In an ideal world, you'd meet every job criteria perfectly. However, if that's not the case, don't point out the skills you haven't developed. Place the emphasis on what skills you do have. For example, don't say, "My organizational skills aren't great, but I am fantastic on the computer." Instead, say, "My computer skills are above par, as evidenced by the fact that I developed a database for our filing system in my last position." Finish off with a formal closing, such as "Sincerely," followed by a comma. Place your typed name underneath. If you're sending in a print copy, put a few line spaces between the "Sincerely" and your name so that you can sign it. 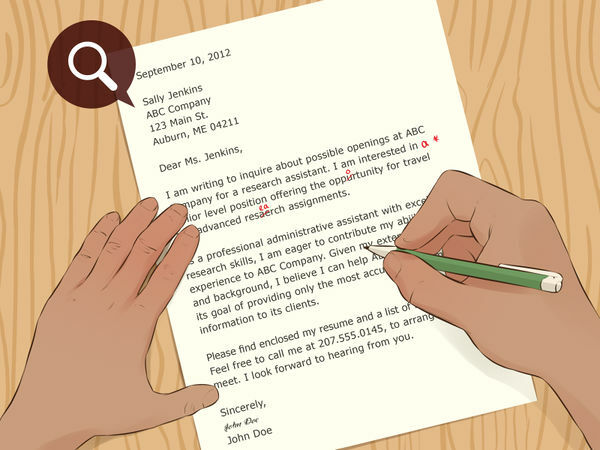 Carefully go over your letter looking for typos and grammar mistakes. Read it aloud to yourself, as that will help you go slower and find errors. Make sure you have spelling and grammar check enabled on your document to help you catch mistakes. Ensure you've set a formal tone throughout. A formal tone is more professional than an informal tone. Don't use slang, and avoid contractions. 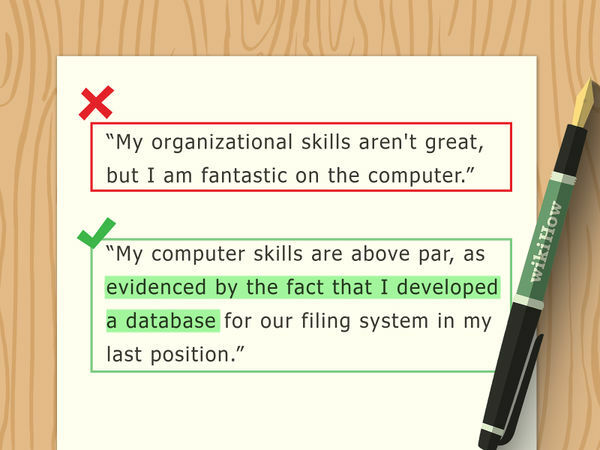 You can use jargon specific to your field, but only if you're sure your potential employer will know it. Once you've polished it, let another person proofread it. You can ask someone you trust professionally, for instance. If you're a student, take it to the career center if your campus has one. Don't just look for grammar errors. Make sure each sentence flows into the next, and you're not too abrupt in your writing. When your writing flows, your sentences and paragraphs logically move from one to the next. When looking for flow, check that each sentence moves smoothly into the next one. For instance, you might write the following sentences: "I gained experience in computer skills at my position at XYZ Financials. 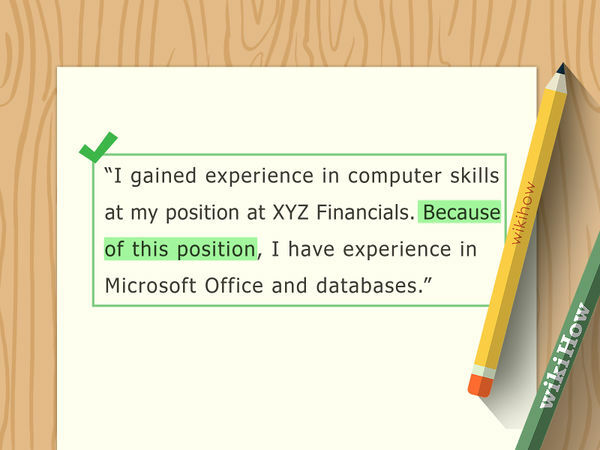 Because of this position, I have experience in Microsoft Office and databases." They flow together because you use one sentence to transition into the next, referencing the position from the previous sentence to begin the following sentence.